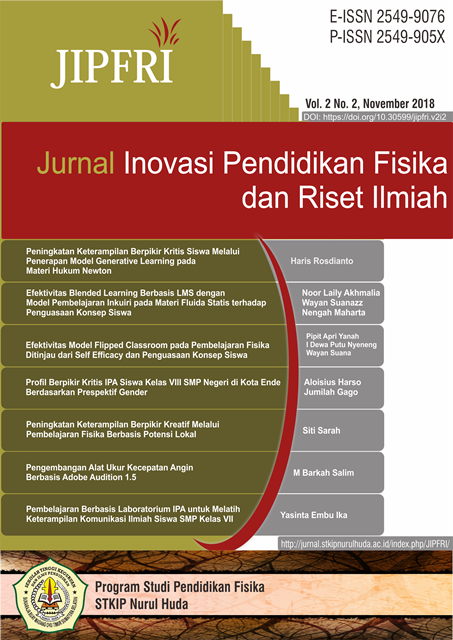 JIPFRI (Jurnal Inovasi Pendidikan Fisika dan Riset Ilmiah) has been published in Vol. 2 No. 1, May 2018. 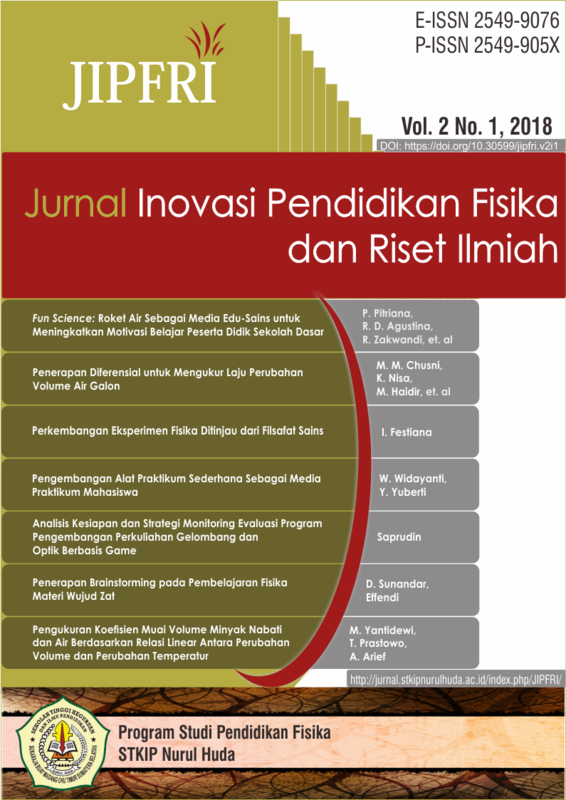 Our hope with the publication of this journal can help readers to provide insight, ideas, references, in the development of educational innovations and scientific physics. This journal review contains 7 articles. 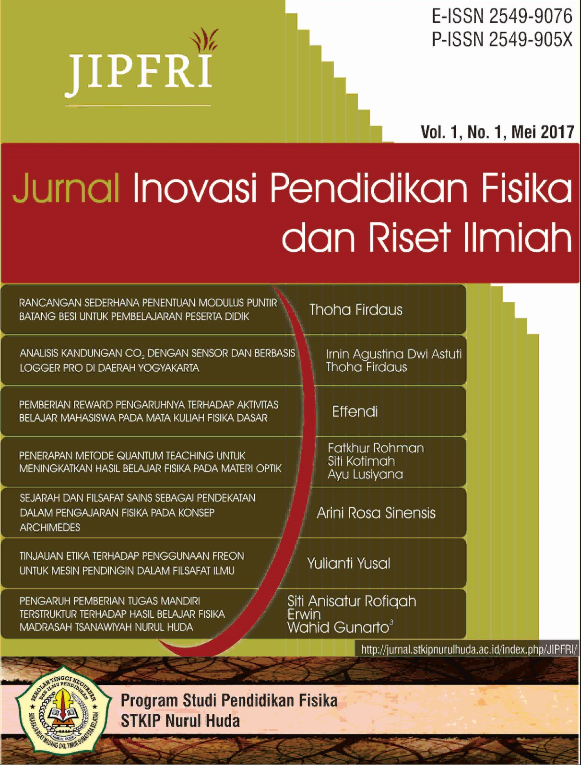 JIPFRI (Jurnal Inovasi Pendidikan Fisika dan Riset Ilmiah) has been published in Vol. 1 No. 2, November 2017. Our hope with the publication of this journal can help readers to provide insight, ideas, references, in the development of educational innovations and scientific physics. This journal review contains 7 articles. 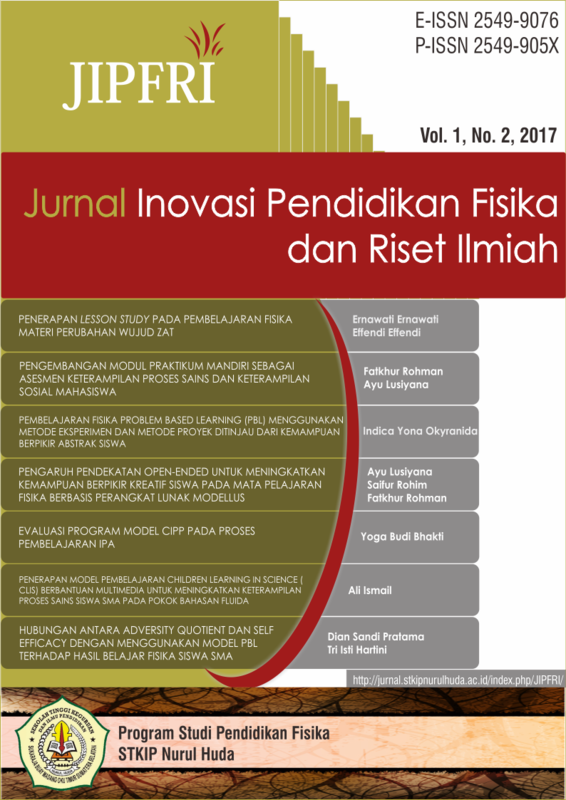 JIPFRI (Jurnal Inovasi Pendidikan Fisika dan Riset Ilmiah) has been published in Vol. 1 No. 1, May 2017. Our hope with the publication of this journal can help readers to provide insight, ideas, references, in the development of educational innovations and scientific physics. This journal review contains 7 articles.